When Lloyd France Jr. opened for business in the former Woodall Music location in Collinsville, he wanted more than a music store. JR’s Music and More lives up to its name and his dream. France offers everything from instrument rentals to sound system support. Along with his parents, France sang in The Family Five Gospel. “The group’s special because his grandparents started it 72 years ago,” France’s wife Toni said. While a novice business owner, France knew something about the retail music business. He was employed for ten years at Woodall’s Music. France also saw a need in the community. For years Woodall’s Music had provided band instruments for local schools. “I wanted these kids to have the same chance I did,” France commented of his decision to start his own business. Admittedly “a big leap” for France, plans began to take shape when he connected with Longwood Small Business Development Consultant Kelvin Perry. Perry also helped France create a business plan. “I worked with Kelvin for about four months,” France noted. France also attended a small business class taught by Perry at Patrick Henry Community College. Following Perry’s advice paid off — since opening last December JR’s has seen a steady increase in its customer base. 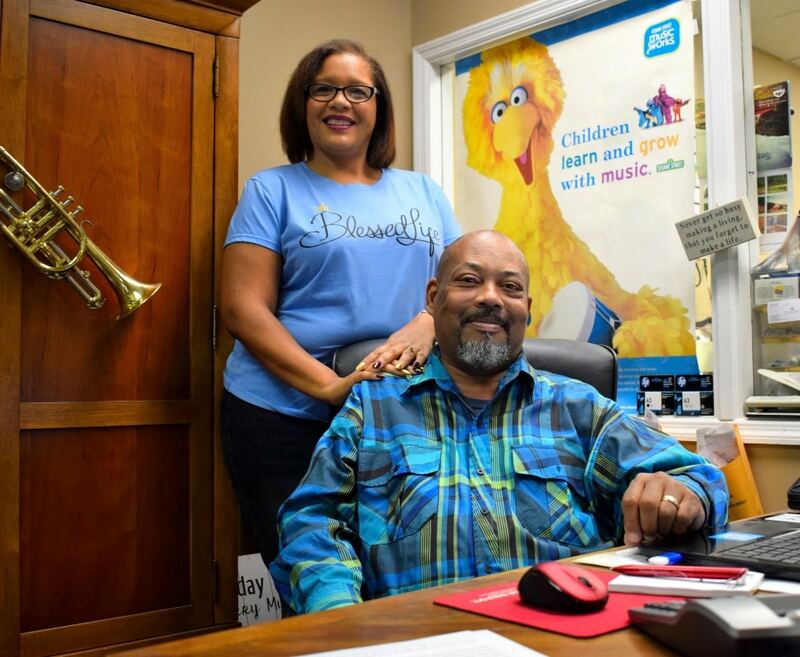 Lloyd and his wife Toni also participated in the SmartSTART program offered through Martinsville-Henry County Economic Development Corporation’s Small Business Division. From the beginning, being helpful hit the right chord with France. JR’s also offers sound system support. If a microphone goes out in church, JR’s is ready to help — often before a service starts. Local schools continue to depend on JR’s for band instruments. Toni points to a display of clarinets, trumpets and flutes. “We have affordable rent-to-own plans,” she adds. For older students JR’s offers piano and guitar lessons. “Stop dreaming, start playing” is the store motto. That motto also applies to would-be recording artists. There’s a recording studio upstairs for demos or making CDs. Future plans include a venue for local performers. JR’s Pickin’ Porch will soon be open, and anyone who’d like to sing or play is welcome. “For Christmas, we’re planning a recital for our students,” Toni added. “The whole purpose at JR’s is sharing music,” France concluded. What more could anyone ask of a music store?